So, I realized that anyone who isn’t really close to me probably doesn’t know much about my living situation here in France, and it is really great so I wanted to post about it to let anyone following my trip to know where I’m living, and maybe, if anyone considering studying abroad is reading, shed some light on a great living option. The process of actually finding a place to live was a complete nightmare, and I don’t want to get into the details on this post so I can do a separate one for that,\ because I am so happy with the outcome, and I don’t want this post to become at all negative. 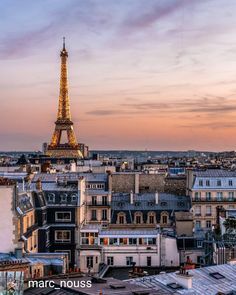 So long story short, I was responsible for finding my own housing in Paris, and when I was nearly out of options and truly ready to give up on even coming to France because I couldn’t find a place to live, I found some listings on the housing website for my French school. I replied to every single one that was within my budget, and even some that were outside it. I didn’t pay attention to where, or the amenities, just if they were near my budget, and preferably not living with a male roommate. I was not hopeful for responses, but I replied to about 10 listings, so maybe something would work out. Well on Christmas Eve, I got a response from a girl named Gabrielle. She was responding on behalf of her mother, Danielle, who had put up one of the listings that I had replied to. She said the room for rent that they had listed is available if I want it, and gave me all the information I needed to know. I would be living with her mother in an apartment in the 19th arrondissement, which appears to be pretty far from my school in the 16th. Gabrielle, who went to Dauphine herself, said it was about a 40 minute commute by metro, which concerned me. I was also concerned about living with a 67 year old woman when I had only been looking at student housing, renting rooms from other students, or even living by myself. She also informed me that her mother doesn’t speak English, which also worried me a little. On the other hand, I would get much more practice in French living with her and probably improve faster. The rent was amazingly cheap, €350 per month, which includes wifi, sheets, towels, toilet paper, laundry supplies, silverware and plates, and basic cooking supplies such as salt, pepper, oil, spices, etc. I basically only have to pay for food, transportation to school, and any specialty supplies I need. The building is situated on top of a police station, and the nearest metro station is a few short steps away from the building entrance. Although I had not imagined myself living that far from school, or with someone so much older than me, I had no other option! This was December 24th and I was supposed to arrive on January 3rd, so I was already cutting it too close. I talked it over with my family, and the more I thought about it, the more I realized that this was actually a really good option. The rent was far lower than anything else I had been looking at and the extra money would leave me more to do fun things and travel. Living with a retired mother would be good because she would probably be very helpful and I would have someone to look out for me. I responded to her email saying I was interested and we were able to coordinate everything and work out the details, and I finally found a place to live! My family seemed excited about the way it worked out, but some of my friends thought it was a little strange, and I had jokes going with a few of them that I would have to give her sponge baths and feed her soft foods. I knew, though, that it wouldn’t be weird at all and that this was going to be a really great living situation for me. I finally started communicating with Danielle (in French) to arrange what time I would arrive and my flight itinerary. Originally, I had planned on taking a cab to her house, but out of the goodness of her heart, Danielle offered to come pick me up at the airport, which seriously simplified things as I was arriving with three heavy bags and had no idea how to get to her house. When I arrived, collected my things from the baggage claim and finally went to the reception area, I found her: a short, perky older lady with a handwritten sign saying “Michelle Miller- Paris Dauphine” on it. When she realized it was me, she was so relieved and we made our way home. She welcomed me with open arms and was the most amazing host to an exhausted, shy girl who isn’t confident in French. The first few days, she cooked for me, and she had cleared spaces in the kitchen, fridge, freezer, and bathroom for me to put my stuff. She also had typed up a handbook to the apartment and instructions for how to work appliances. I found out that she has hosted students twice before, both from Dauphine; a girl from France, and a guy from Germany. It felt very professional and she really wanted to make sure I felt at home and comfortable. She told me she sees it as our house while I’m here and I should feel that I am at my own house, not a guest in someone else’s house. From the beginning we used the informal way of addressing each other, “tu”, which only makes sense if you speak French, but it just means that she doesn’t see me as inferior to her, and wants us to be friendly and familiar. The apartment itself is very nice. It is nowhere near the charming French style of apartment we imagine when we think of Parisian apartments, but it is charming in it’s own way. There is a small kitchen/dining area, a large living room, two bedrooms, a bathroom with a sink and shower, and a small toilet room. There is a washing machine in the bathroom, and a string mechanism in the shower to hang clothes to dry. I don’t have to pay for laundry detergent or to use the washer, which is really nice! My bedroom is my favorite part of the house! It’s 10m2, which is about 107 square feet, so really big. I have a really comfortable full sized bed, a computer desk and chair, another lounge chair, a vanity and mirror, and a lot of storage space in the closet, drawers, and several bookshelves. I have a window which opens up and outside, I have a view of the square called “Place des fetes”, where there is a large market three times a week, I can see the many stores nearby, the bank, and the many other somewhat ugly 1970’s apartment buildings in this area. The area is very lively, especially when the weather is good, and there are always many people around. The only problem is that there is a group of guys who hang out down there every night.. Every single night.. Without fail.. They are down there. They make a lot of noise, yell, laugh, race motorcycles, etc. Some nights are worse than others, but I can’t remember one night where they haven’t been down there, but they usually stop but about 1 or 2 am.. The apartment has many windows and when the sun is out, lots of natural light. It feels very homey because she has many decorations, pictures, knick-knacks, books, etc. around the house. My room is decorated very nicely, as it used to be Gabrielle’s room before she moved out. I have more towel and sheet sets than I know what to do with, in all different colors and patterns, and everything I need to prepare and eat meals. Just as they told me, it usually takes me about 40-45 minutes to get from my house to the metro stop for my school, which is a short walk away from the campus, and the commute is very easy. The quarter is very nice, although I haven’t had the chance to explore that far yet. There are many shops, restaurants and bakeries nearby, and our building is very secure and I always feel safe. As for Danielle, all I can say is she’s amazing. Since I got here, she has been nothing but helpful and gracious and I have grown to see her as a real friend. She is always so sweet, and happy to be around me. She has told me on numerous occasions that she loves having me here and that she hosts students purely because she enjoys being around young people and having someone to talk to, and then the little bit of extra money helps her out. She is retired, and as I’ve gotten to know her I have come to find out that she used to work as a psychologist. She lost her husband to some kind of sickness some ten years ago, and she talks about him all the time. She has just one child, Gabrielle, who now lives in a small apartment in Paris with her boyfriend Steven, from Columbia. They recently bought an apartment in the suburbs of Paris, which is much cheaper real estate, and they will be moving in May. Gabrielle works in Micro-finance and Steven is an Engineer. They come over from time to time for dinner or to help Danielle with some computer problem, and they are both extremely nice, smart, and I hope I get to know them better while I’m here. Like many retired people, Danielle has many hobbies and interests, and I love seeing how passionate she is about them. She is part of a hiking club, and often guides hiking trips, or is guided by others from the club. I’ve been out hiking with her once so far, and I could barely keep up with her! I can tell she really enjoys navigating; she has a large collection of maps, and in addition to hiking has spent a lot of time sailing. She often exercises or does yoga in the living room, tends to her plants, makes her own jams and yogurts, plays guitar, embroiders, does a lot of reading, and really enjoys making home-cooked meals. All her meals are made fresh from scratch, and they are always very healthy. She often asks me if I’d like to try the dish she has made because she wants me to be exposed to traditional French cooking, and I almost always love what she makes. She is extremely hard working and does all her housework herself, and is very thorough and tidy. She doesn’t have a TV in the house, and instead listens to a lot of radio broadcasts. She does have a new Macbook Pro though, which she is pretty good with, but runs into many problems that Gabrielle, Steven or I have to help her with. She has another home in the French countryside, and she will leave for several weeks at a time to spend time there, and she does a lot of work there, gardening and maintaining her house. To illustrate how cute she is, I brought her an authentic Zuni necklace as a gift for her hosting me, and now she proudly wears it every time she goes out to a party or to see friends, and I know she does the same with a pair of earrings that Steven brought her from Columbia. It’s so cute the way she wears them for any special occasion, as well as a pretty flower in her hair. Another little example, she went on a week-long ski trip a few weeks ago, and my rent came due before she got back. I decided to write her a note telling her how happy I am to live with her and that I really appreciate everything she has done for me and all that, and left it along with my rent on her bed for when she came home. When she found it, it made her tear up and she comes to my room and hugs me and tells me that she is the happy one to have me there, and she hung the note up on the wall next to her desk where she does her paperwork and writing! Danielle with her flower, the necklace I got her, but you can’t really see the earrings. She helps me with my French and is very patient when I can’t figure out how to say something. She likes learning words in English and loves learning about where I come from. I can always ask her questions about France and the language and she does her best to explain, and my only complaint is that sometimes she can be too chatty! I’m learning that one simple question can lead to a 30-minute explanation, and if I want a conversation, I better clear my schedule because she loves to talk. Not really a bad thing, and usually it is very interesting, but sometimes it can be hard to break away when you have other things to do. I can go on and on about how great she is, but I’ll just stop by saying that I am truly happy with how my living situation turned out. I think this is the best thing that could have happened to me, and it came when I was desperate with no options and my trip seemed in danger of not happening at all. Sometimes I think I am missing out by not living in the student residences where I can meet more people, but then again, the people I know that live there only speak English with each other and have made no progress in French, they pay more than I do, and the residences, at least the ones I’ve seen, are old, dirty, and no where near as comfortable as my room, and they all had to buy all of their own supplies. I’m getting to speak French, have made a real friend in a great woman, and am extremely happy and comfortable where I am, and I wouldn’t have wanted it any other way! Hi, I am so delighted I found your site. I’m really appreciating the commitment you put into your site and in depth information you provide. This is really generous of people like you to offer without restraint all that a number of us would have offered for sale for an e book in order to make some money for themselves, specifically seeing that you could have done it. Really.. many thanks for starting this up. This site is something that is required on the web, someone with a little originality! I’m excited to find this web site. I want to to thank you for your time for this fantastic read!! this webpage, and I used to pay a quick visit this web site everyday. to operating a blog however I do write in my diary on a daily basis. :) I maintain such info a lot. I was looking for this particular info for a very lengthy time. this sector do nnot undeerstand this. You must prokceed your writing. I’m sure, you have a great reаԀers’ base already! friends regarding this piece of writing, while I am also keen of getting know-how. For newest news you have to go to see the web and on internet I found this web site as a most excellent site for newest updates. Hello there! I simply would like to give you a huge thumbs up for your excellent info you have got right here on this post. Hurrah! In the end I got a website from where I be able to in fact get valuable data concerning my study and knowledge.